Corinna was instrumental in the early days of RD&I in the Trust in developing and setting up the service, pathways and visibility of research at Plymouth Hospitals NHS Trust. RD&I now has an average of 500 studies running at any one time. As the RD&I Manager Corinna is responsible for the well organised and efficient running of the RD&I Department, ensuring that all research is set up promptly, approvals and diagnostic support services are in place and appropriate resources available to support the smooth running of all studies. Corinna was integral in developing the one cost process to further support the smooth setup of research projects across the Trust and the South West Peninsula. She brings a wealth of knowledge and experience to the department as well as being passionate about clinical research in the NHS environment and the benefits it brings for our patients. Julie is currently a Senior Research Facilitator supporting the work of the Research Governance team in monitoring of research studies. In her role Julie works with research teams to help oversee the progress of a clinical trial, and of ensuring that they are conducted, recorded, and reported in accordance with study the protocol, Standard Operating Procedures (SOPs), Good Clinical Practice (GCP), and the applicable regulatory requirement(s). Julie is also a deputy research archivist for the Trust. Marie supports the maintenance and administration of the EDGE research management software. Marie is responsible for training all administrative and clinical staff on the EDGE software. She monitors research recruitment across all specialties and produces Trust wide reports. Karen is currently the RD&I Office Finance Administrator and is responsible for all Commercial and Non-Commercial Study invoicing. As Research Governance Manager Chris has a responsibility for supporting local studies and providing governance direction for all studies conducted in UHPNT. 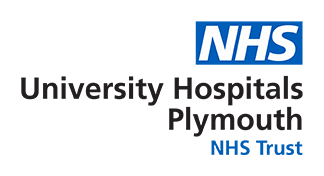 Helen provides support and advice in all aspects of clinical and healthcare research for University Hospitals Plymouth NHS Trust. Helen is also responsible for the Trust Innovation Pathway and any innovative ideas staff may have can be directed to her. Vic is currently a Senior Research Support Facilitator supporting the work of the Research Governance team, ensuring that governance requirements are fulfilled. She works closely with Chief Investigators within the Trust, supporting them to develop and submit their research documents and forms to the relevant regulatory bodies. She manages all Trust sponsored studies throughout their lifetime, including set up, processing amendments, and close out. She frequently represents the Trust at Trial Management and Trial Steering Committee meetings. Vic is also deputy research archivist for the Trust. Hannah supports the process of approving, maintaining, amending and closing research projects taking place at Plymouth Hospitals NHS Trust. Wendy supports the process of approving, maintaining, amending and closing research projects taking place at Plymouth Hospitals NHS Trust. Molly is currently the RD&I Business Admin Apprentice working towards her Level 2 in Business Administration. Molly is your first point of contact for all Research Development and Innovation queries. The Trust has several teams dedicated Research Nurses and Midwives to assisted in the conduct of research in the Trust. Ben has been in his current role as Lead Research Nurse since 2013 where he has overall responsibility for the Research Delivery team in UHPNT. Catherine leads a team of research practitioners that covers Neurology, Surgery and Anaesthetics delivering a large portfolio of studies across these areas. Migaila is currently responsible for managing the Diabetes, Endocrine Renal and Urology research teams in the trust and facilitates clinical trials within these specialities. She has been working clinically as a Research Nurse on various Diabetes studies covering those diagnosed with Type 1, Type 2 and Pre-diabetes conditions. Alison is responsible for managing the teams delivering studies in Reproductive Health & Childbirth, Emergency Medicine, Critical Care, Paediatrics, Neonatology Rheumatology, Orthopaedics, Pain management and ENT . 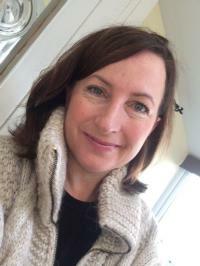 Claire is currently responsible for leading a team of Research Practitioners in Hepatology, Gastroenterology, Ophthalmology, Dermatology, Immunology, GU Medicine, Microbiology. Julie is team leader for Cardiac, Stroke and Respiratory research delivery at UHPNT. Before commencing this role she specialised in Cardiothoracic nursing in London and Oxford. Jocelyn joined the RD&I department in 2009 to deliver research in obstetrics, gynaecology and reproductive health. Jocelyn now divides her time between education and delivery of the Cancer arm of the 100,000 Genomes Project. Nicky heads the Haematology Research Team. Julie heads the Oncology Research team.